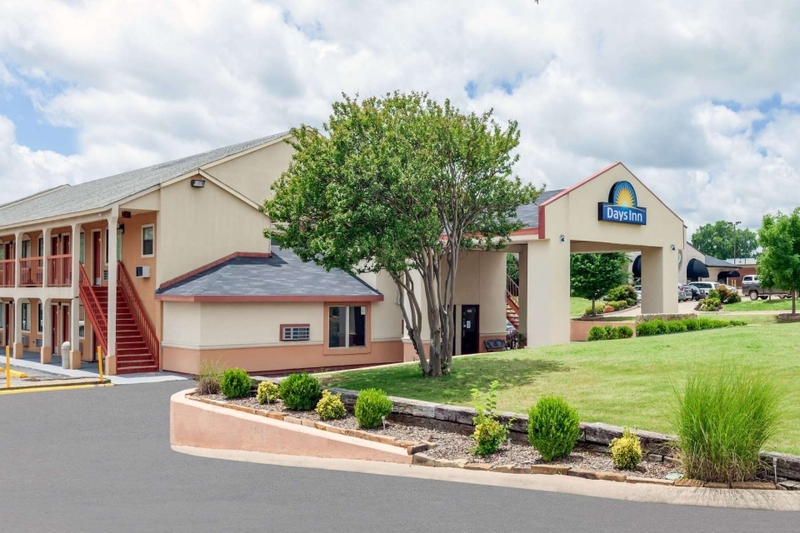 Located only moments away from a number of area attractions and just off Interstate 35, The Days Inn is an ideal location for any traveler. The hotel offers handicap room and smoke-free rooms. Other amenities include hair dryers, coffee makers, refrigerators & microwaves, LED TV's with premium channels, dry cleaning, iron and ironing boards and wake-up service. We also offer business center and free high-speed internet. A free USA Today and our Free Day Break Hot Breakfast awaits your appetite each morning. We are pet friendly. We also offer weekly rates and monthly discounted rates. There is a guest laundry facility as well as an exercise room on site. We also have a gazebo area with grills for grilling or just to enjoy outside sitting with your morning coffee/tea.